Your guide to City services is now just a download away on your smartphone. A new and improved City of Westerville mobile application, or “app,” is now available for Android and iPhone devices through Google Play and the Apple App Store, respectively. Titled “My Westerville,” the app was developed by Public Stuff, a leading municipal application resource system. Powered by the Public Stuff platform, the app also uses the City’s mobile website, which has been improved for visibility on tablets, smartphones and other devices. The platforms work together to keep information, alerts and news from the City current, consistent and user-friendly. One of the app’s primary features is an enhanced Service Request function. Users can launch the app anytime they are out and about to report an issue, make a request or alert City staff to a problem. To help describe the situation, users can take a photo as part of the submission. The request is electronically dispatched to the appropriate department, and users can follow its progress to a speedy resolution. App users can also quickly find information about City news, community events, staff contacts and building locations, as well as construction updates and sites of parks and trails. Shortcuts to subscribe to the weekly e-newsletter, access permits and forms, and follow social media networks are also included. Local information, including the weather forecast, can be found via buttons accessible from the welcome screen. Lastly, an easy option to provide feedback on customer service has been added. The app is in its first version on the Public Stuff system, and will be regularly reviewed to expand and enhance its functionality. For more information, or to send feedback to staff, please email communityaffairs@westerville.org. Westerville residents and visitors are invited to submit your favorite photos for the 2016 Community Calendar. Selected entries will be used in the 2016 Community Calendar, with photo credit attributed to each photographer. Submissions will be accepted until Friday, Sept. 25. • Environment: Skylines, parks and opens spaces in Westerville. • Architecture: Building designs, cityscapes and notable landmarks in Westerville. • People: Family, friends at home or at Westerville community events and gatherings. 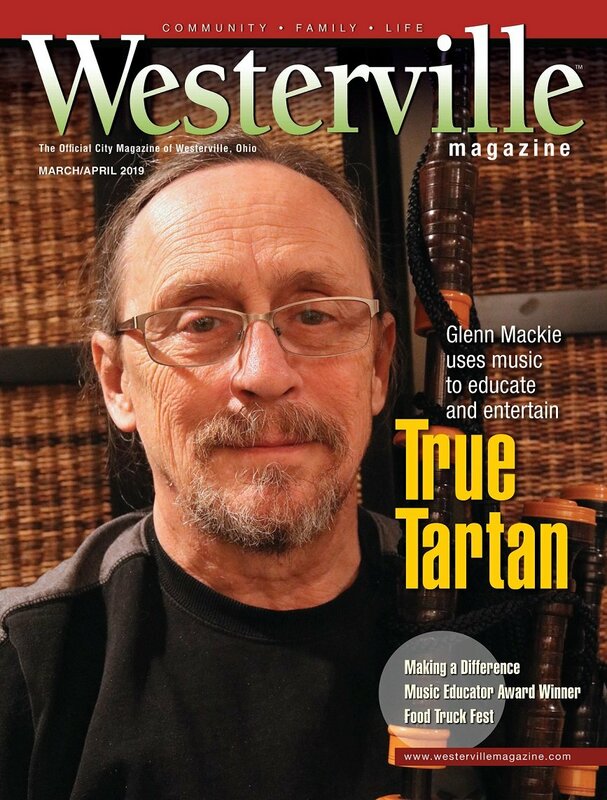 • Community Life in Westerville: Education, volunteerism, celebrations, arts and culture. This is not a contest, and no cash or other value rewards are offered. Selected photographers will be notified in October. The calendar will be mailed to homes in Westerville with the Winter Community Recreation Guide in November. Eligible images from a digital camera or scanned copy must be in either JPG or PNG digital format at a file size of between 3 megabytes (minimum) and 9 megabytes (maximum) at 300 dpi (dots per inch). Attach only one image file per e-mail and send to: communityaffairs@westerville.org. For each photo emailed, please provide “Calendar Photo Submission” in the subject line as well as your first and last name, phone number, street address and date and location where the photo was taken. Please visit the City website to read more about entry details. For the 21st consecutive year, the Westerville Division of Police will host Central Ohio Cops & Kids Day, an annual showcase of more than 40 regional law enforcement agencies with games, prizes and family-friendly freebies. Helicopters, SWAT team equipment, K-9 units and cruisers are just a few of the attractions at this popular annual event created to bring families and law enforcement together. The event is held 10:30 a.m.-2:30 p.m. Sunday, Sept. 13, at Hoff Woods Park, 556 McCorkle Blvd. Admission is free. Kids may cast their votes on the best police cruiser, dunk a uniformed police officer in the water tank and play games for free prizes. Inflatable jump houses and obstacle courses and the Hoff Woods Park playground are also kid favorites. Families will also enjoy interacting with “PC” the Patrol Car and spraying water from one of the Westerville Division of Fire engines. Be early. The first wave of visitors always gets a special cinch sack filled with surprises, and this year is no different. Arrive early to get one of 1,100 sacks and receive free tickets for prize raffles that take place throughout the event. Be hungry. Lunch and snacks are provided at the Hoff Woods Park concession stand while supplies last. And many of our participating partners offer free food and coupons at various sites in the park. Be curious. Cops & Kids Day is hands-on. Families are encouraged to interact with all agencies and learn more about the equipment used in modern law enforcement. Be accurate. One of the favorites each year: the dunk tank. A ball thrown in the right direction will dunk one of Westerville’s officers (often the Chief of Police himself!) into the icy cold water. Be inspired. Cops & Kids Day brings families and law enforcement together so that citizens can directly interact with the men and women who serve and protect their communities. Special events such as these lead to a better understanding of the role of police officers and the resources used in community policing. For more information, visit www.westerville.org/police. Westerville residents in Franklin County now have another resource for receiving emergency alerts and notifications. Franklin County Emergency Management and Homeland Security has launched ALERT Franklin County, a new county-wide mass notification and warning system. Westerville residents are encouraged to sign up for both ALERT Franklin County and the City’s “On the Alert” emergency notification system. Both systems operate similarly, designed to reach residents based on their contact preferences in the event of an emergency, disaster or other important alert. By subscribing to both, residents will have access to all emergency notifications sent from Franklin County and locally from the City of Westerville. Emergency notifications about severe weather and disasters as well as location-specific information regarding crime alerts, road closures, transportation incidents, utility outages, government closings and other important community news. True emergencies, such as disaster notification, public safety information and/or alerts pertaining to missing children, hazardous spills and major power outages. Older adults and their caregivers may also use “Safe Call” as part of this system. Subscribers select their contact preferences: email, text, land line phone and/or mobile phone. Residents without Internet access may sign up in person at the Westerville Division of Police, 29 S. State St.
Part of our community back-to-school routine is increasing our awareness of student walkers and bikers coming to and from multiple school buildings across Westerville. Add to that more than 29 miles of multi-use trails in Westerville’s Bike and Walkway (B&W) system, and there is a lot of ground for riding and many intersections to cross. For our community of cyclists, the Westerville Division of Police and Parks & Recreation Department together produced “Bike Safe Westerville,” a short-format video series highlighting the importance of preventative bike maintenance, general safety practices and rules to follow while cycling. A version specifically for young riders can help kids understand how to safely ride their bikes and navigate to and from school. Hosted by Sgt. Doug Stephens of the Westerville Division of Police, the kid-friendly video emphasizes safety basics in just under four minutes. Watch the video with your family and discuss the safest route to and from school, around your neighborhood and on the Westerville B&W. To access the videos, visit the City of Westerville website at www.westerville.org or directly access the City’s YouTube channel at www.youtube.com/tellwesterville. The Westerville Division of Police and Parks & Recreation Department are looking for volunteers to serve on Pathwatch, a public safety program created specifically for the Westerville B&W, the City’s expansive recreational trail system. This is a great volunteer opportunity for people who already walk, jog and ride the path system. Interested residents of Westerville and Genoa and Blendon Townships can sign up online at www.westerville.org. First Responders Park, 374 W. Main St. The Westerville Divisions of Police and Fire Chaplain Corps invite the community to the sixth annual 9/11 Memorial Observance on Friday, Sept. 11 at noon. This annual ceremony takes place at the site where steel from the fallen North Tower of the World Trade Center stands. It will also be the one time of year three flags are raised from the 10th-anniversary Memorial Observance in 2011. Each flag was flown in a special location: the American flag was raised over the U.S. Capitol in Washington D.C., the state of Ohio flag was flown over the Statehouse in Columbus and the City of Westerville flag was flown at Westerville City Hall. This year’s theme is “Remembering the Fallen, Protecting the Future,” paying special tribute to both law enforcement officers who lost their lives that day in 2001 as well as those who protect our communities today. Saturday, Sept. 19, approximately 9 p.m.
Join the Westerville community at Port Columbus airport to give World War II and Korean War veterans the “welcome home” they deserve. As part of the Westerville community-sponsored Honor Flight, local veterans will be returning from their day of honor, touring national monuments of their service in Washington, D.C. Participants and spectators may gather in the Southwest Baggage Claim area beginning around 9 p.m. For more information, please visit www.honorflightcolumbus.org or check for updates on Facebook at www.facebook.com/westervilleforhonorflight. Sunday, Sept. 27, 1-5 p.m. In partnership with the Westerville Sunrise Rotary Club, the third annual Westerville Community Culture Day has been focused on a half-day of activities, presentations and performances to showcase our community’s cultural diversity. Activities and booths will be available and ongoing throughout the day. Presenters and performers will be on stage at scheduled times. Visit www.westerville.org for more information. Thursday, Oct. 29, 6-8 p.m.
Halloween falls on a weekend night this year (Saturday, Oct. 31), so the annual tradition of Trick or Treat (Beggar’s Night) will be observed on Thursday, Oct. 29 from 6-8 p.m. As a reminder, most communities in central Ohio coordinate Trick or Treat, keeping in mind factors such as day of week, public safety and weather. Trick or Treat is not an official, City-sponsored event. When weather conditions are poor, the City does not attempt to delay, postpone or otherwise recommend rescheduling Trick or Treat without a major compelling reason such as severe weather warnings (heavy thunderstorms with lightning, hail, etc.) or a non-weather related community threat. A weather forecast of rain, cold weather or wind would not meet these conditions. Parents and guardians are always encouraged to exercise their best judgment in determining whether or not weather conditions are safe and/or convenient for Trick or Treating. For more information or future dates, visit the City website online at www.westerville.org/beggarsnight. The number (in pounds) of material collected at the 2014 Household Hazardous Waste collection day. The City of Westerville, in partnership with the Solid Waste Authority of Central Ohio (SWACO), provides this annual collection program for residents to properly dispose of hazardous household waste. See www.westerville.org/HHW for a full list of acceptable items. This year’s event is scheduled for Saturday, Sept. 12, 8 a.m.-2 p.m. at the Westerville Service Department (350 Park Meadow Rd.). Kim Sharp points out the irony that she spent her childhood on a farm in Ohio and later became an architect and urban planner. Her love of both rural and urban environments has shaped her career, directing the path for someone who wanted to design “cool buildings” as a young student to today’s staff, which led to one of Westerville’s most important guiding documents on land use and future development. Since joining the staff in 2014, Kim has been the spirited, energetic force behind Imagine Westerville, the program that will ultimately produce Westerville’s first comprehensive plan in more than 50 years. I am an Ohio farm girl. I grew up on 600 acres outside of the Alexandria/Granville area, which is where I spent my elementary school years. My dad ended up farming in Fairfield County, so we moved there, and I graduated from Bloom-Carroll High School. So yes, I can drive a tractor, ride a horse and make mean biscuits and pie. How did you come to pursue a career in city planning? I know – how can you grow up on a farm and end up loving cities so much? I had some great travel experiences, such as an eighth-grade trip to New York City, that began to shape my view of the world at a young age. When I was 12, my dad brought home one of those “101 Home Plans” books, and I went through with a red pen and redesigned every house. That eventually led to The Ohio State University’s Knowlton School of Architecture. With some great professors and fellow students, I was able to travel through England, Italy and South America, looking and drawing, experiencing ancient cities. When traveling, I always take public transit as an adventure, and to fully experience the culture. I only hitchhiked once! Eventually, I met my husband at Ohio State (in a combined fine arts and architecture course) and together we moved to Richmond, Va. for his graduate work at Virginia Commonwealth University, where I also went for my master’s of urban and regional planning after he was finished. While living in Richmond for six years, I worked for Glave & Holmes Architects. From renovating 18th Century tobacco warehouses into condos and retail mixed-uses to new parking garages at University of Virginia, I learned a lot about sense of place and how preserving beauty and authenticity leads to economic viability of an area. I was with this design firm through my graduate studies, and then looked for urban design experience after I graduated. After landing a job as redevelopment manager for Flagstaff, Ariz., we packed up the car, our Conestoga wagon, and camped our way out west to our new community. How did you get to your position in Westerville? This position opened up when I knew it was time for a new chapter. It was time to move home, plain and simple. And this position was such a great opportunity. I truly believe the City management team saw the potential in me to do this job. Also, when we learned about baby No. 3 (now 4 years old), I said, “I can’t do this without grandparents,” and all of our family is here in central Ohio. In your time here, how is Westerville different than other communities you’ve been part of? There’s a noticeable, strong work ethic in Westerville. I recognize it because it’s how I was raised. And all of the natural areas are impressive to me, including but not limited to the parks and trails. I’ve been pleasantly surprised by the green space and even the farmland that remains in this region. From my earlier years, I remember coming to Uptown Westerville, but am now discovering other historic and new projects. And we love to join all of the bicyclists on the weekends. There are loads of people biking and walking everywhere! Tell us about Imagine Westerville in your own words. Imagine Westerville is an exciting community engagement project that will establish a vision of the future of Westerville. The positive feedback we are getting about the high level of community outreach with this program is satisfying, but there are many more public discussions coming. This project exists because Westerville City Council and Planning Commission recognized the need for a holistic community vision in development decision deliberations. Why is a process like this so important? Successful cities plan. They plan on how to get where they want to go and how to do it together. If a comprehensive or general plan doesn’t have community involvement and buy-in, it won’t happen. I really wanted to design cool buildings when I started my career; then, I decided I enjoyed designing cities. But I’m really proud of getting people involved in developing this vision together. It’s been incredibly rewarding to get to know departments and staff members who have great insight into how the community can move forward in thoughtful ways. I really admire the volunteers involved in the project: the citizen advisory, or CAT, team. Their knowledge, expertise and love for this community are amazing. What are the next steps for the Community Plan? It’s slated for an intensive public review process starting in August. Council will consider adopting the plan beginning in 2016. It will be presented in many public meetings. This public hearing process welcomes and needs comments and feedback from residents and businesses. The schedule will be updated online at www.imaginewesterville.org. When this project is done, what is next for you? An Uptown management program is being developed to focus on parking management, historic preservation initiatives and coordinating all the cool stuff going on in Uptown, which is implementing the Uptown Plan, a Council priority. We’re also moving toward a zoning code update after the Comprehensive Plan is adopted, which is one of the main tools to implement that plan. I have three school-aged boys, and we love to camp, hike, kayak and ski. But right now my life is pretty engulfed in a fixer-upper house we bought in Westerville, which is, of course, a labor of love! Westerville’s own Officer Bryan Schwartz and K9 officer Fiji brought home three gold medals in June from the 38th annual Ohio Police and Fire Games. Fiji, a 4-year-old, Czechoslovakian-bred Belgian Malinois, took the top spot in Article Search, searching an area for three items (lighter, handgun and cell phone); Building Search, locating a hidden subject; and Criminal Apprehension, testing focus and listening to the handler. All events were timed, with Fiji and her competitors evaluated on alertness and performance. Congratulations to Officer Schwartz and Fiji on their outstanding performance at this statewide event. Read a full profile on the duo here.